Ignoring the Italian coffee until it gets cold. Just finished a couple of Palm Mall cigarettes. 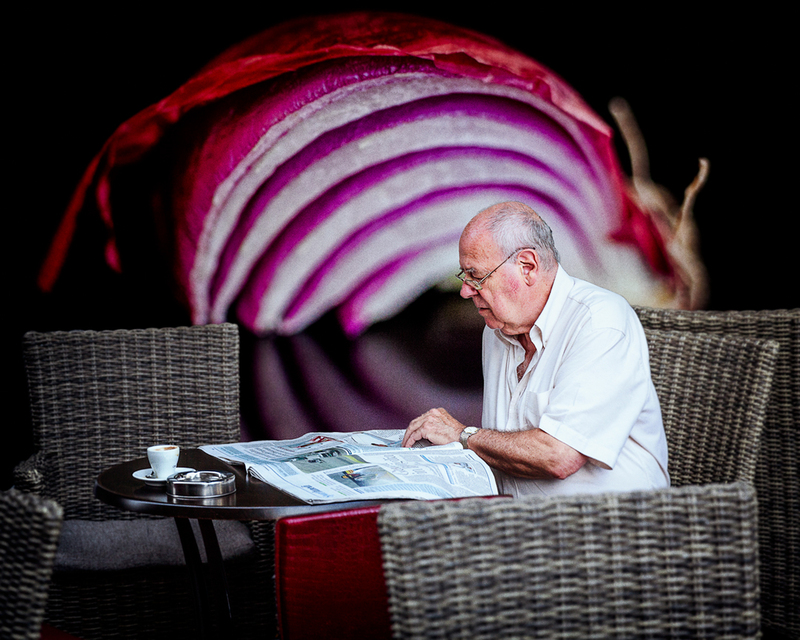 The man is not reading a real newspaper but The Onion. A satirical media that parodies current event news. Behind him though is a real red onion.